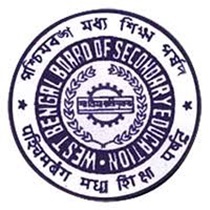 West Bengal 12th Admit Card 2019: West Bengal Council of Higher Secondary Education (WBCHSE) has scheduled the class 12th /Higher Secondary (HS) Examinations in the month of February/March 2019. All the students pursuing 12th class in various colleges across West Bengal can get ready for examinations. The organization will conduct the examinations for class XI and Class XII for all streams science, maths, and arts. Students undergoing education in Higher Secondary Classes in West Bengal can get ready for the academic examinations. The organization recently released the West Bengal HS Routine 2019 for Theory and practical examinations. Students undergoing the HS/Intermediate in West Bengal can check the Routine from the WBCHSE official website, wbchse.nic.in. Students must remember to download WB HS admit card 2019 before going to appear for the exams. The admit card/hall ticket is the most required document to carry to the exams. Hence students must download and keep the admit cards safe to carry to the theory and practical examinations. West Bengal Council of Higher Secondary Education was established in the year of 1975 by the state government of West Bengal. WBCHSE headquartered at Bidhan Nagar. The organization monitors the higher secondary education in West Bengal state. The board also offers affiliation to a large number of schools and colleges in West Bengal state. The board offers the education for higher secondary classes and conducts the examinations every year for the HS students. Every year the West Bengal CHSE will conduct the Intermediate/HS examinations in the month of March and releases the result in the month of April. All the students appearing for Class XII academic examinations in the state of West Bengal can download their admit card/hall tickets from the WBCHSE official website, wbchse.nic.in. The admit card will be available before 10 days of the examinations (approximately). Students can download, print, and keep the admit card safe to take it to the examination. The hall ticket download link will be activated on the WBCHSE website. Stay checking the WBCHSE website on a frequent basis to get the hall tickets. Download the hall ticket and go through all the details once. Also, examination guidelines will be given on the admit cards. Students can go through everything from their respective hall tickets. In case if any spelling mistake appears in any of the columns, students can complain to the WBCHSE authorities for necessary rectifications. Steps to download WBCHSE 12th/HS Admit Card 2019 Online? Click on the link and enter the necessary information. The WBCHSE HS Admit Card 2019 will be downloaded. Check all the details from it and take a printout of the hall ticket. Keep it safe and carry it to each and every examination without fail. 1.2 Steps to download WBCHSE 12th/HS Admit Card 2019 Online?